We have developed our own vent system, to slot within our roof patent glazing bars. 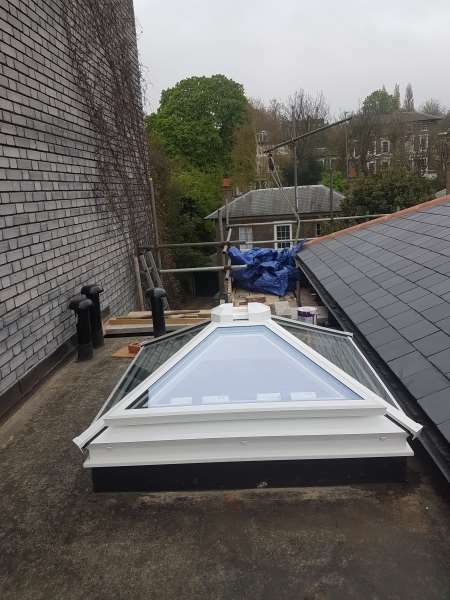 They have been designed to accommodate all types of roof patent glazing applications, utilising single glass or double glazing to suit customer requirements. They come in various options such as smoke ventilators. These are designed to aid the safe evacuation of premises where the system has been installed. All ventilators comply with the recommendations of BS 7346 part1. Accreditation certificate on the test carried out at Warrington Fire Research Centre is available for inspection upon request. The system also provides for the ventilators to be used on a day to day basis to provide natural ventilation if required. If inclement weather prevails the system can incorporate rain sensors to automatically close the ventilators. Note! The fire signal is master and will override all other signals.